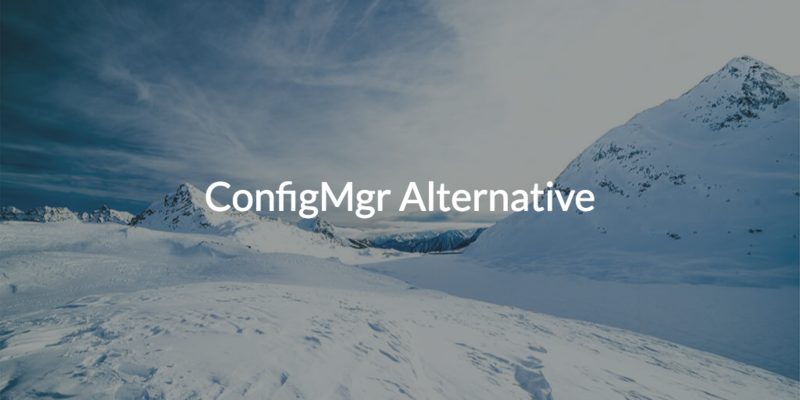 With Microsoft® seemingly moving away from System Center Configuration Manager on-prem (SCCM or ConfigMgr), is there a worthy ConfigMgr alternative available from the cloud? While many continue to believe that SCCM is a major focus of Microsoft’s portfolio, it seems more and more as if Microsoft is shifting their focus to their MDM and MAM (mobile device and application management, respectively) solution, Intune®, instead. But, can Intune truly be considered a ConfigMgr alternative either? Let’s evaluate these questions together. Of course, this all makes sense as Microsoft tries to shift its business to the cloud, specifically on to the Azure® platform. For Microsoft-focused organizations looking to make the leap to Azure, centralizing your IT management tool suite within Azure can make a great deal of sense. One such solution in the Microsoft cloud toolbelt is Intune. 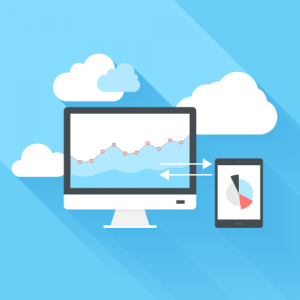 Intune was created to help manage mobile phones and smartphones and has steadily increased its feature set with age. The challenge for IT organizations and MSPs has been that the general trend of the IT landscape has been shifting away from solely Microsoft Windows®. More and more Mac® and Linux® devices are used in the workplace, making it increasingly difficult to leverage Microsoft IT management tools. Even Active Directory is being replaced by non-Windows based directory services and Azure AD is not a complete AD alternative. The same is true with SCCM and Intune. The cloud endpoint management solution, Intune, is not a complete alternative to the on-prem, legacy solution ConfigMgr. 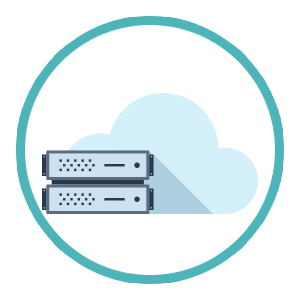 In order to properly replace SCCM in an organization, an alternative solution would have to offer best-in-class system management, not only for Windows systems, but Mac and Linux machines as well. This solution would either have to integrate with an existing Active Directory instance, or replace AD and its functionality all together. Of course, another key factor in this replacement would be if said solution could be leveraged from the cloud, which is practically a requirement of the modern era. Thankfully, such a solution is taking its hold on the system, as well as the user identity, management spaces. This Directory-as-a-Service® suite is integrating user management and system management functions across platforms, both in the cloud and on-prem. With this solution, users can experience True Single Sign-On™, able to use one set of credentials to not only connect to their systems, but virtually all of their IT resources (applications, networks, servers, etc.) as well. The Directory-as-a-Service (DaaS) suite, available from JumpCloud®, is the world’s first comprehensive cloud directory service. Reimagining Active Directory for the modern era, the DaaS product takes the best of AD and SCCM (including cross-platform GPO-like Policies) and offers them from the cloud, directly from your browser. If your organization is looking for a ConfigMgr alternative, or simply wants to learn more about JumpCloud, please contact us with your questions. To see the product in action, consider scheduling a demo, or simply try the DaaS product out for yourself, absolutely free, with ten complimentary users to get you started.